A combination of Spanish delights. A very simple Spanish butter bean stew using fresh, seasonal tomatoes, rich in flavour and colour. A great little dish on its own! It’s difficult to go into a tapas bar and not find this on the menu. And of course, a traditional combination of paprika and pork that will send wonderful, zingy notes to your taste buds. Start with the stew by peeling and cutting the onion in half and finely slicing into half moons. Peel and finely chop the garlic, chop the tomatoes into eighths and heat a medium-sized saucepan with a splash of olive oil. Once warm, add your onions and garlic. Fry for 5 mins until they become soft, transparent and begin to colour. Add the tomatoes to the saucepan and cook for a further 2 mins. Drain the butter beans and add them to the pan, followed by the chicken stock pot, tomato purée, bay leaf and the water (see ingredients!). 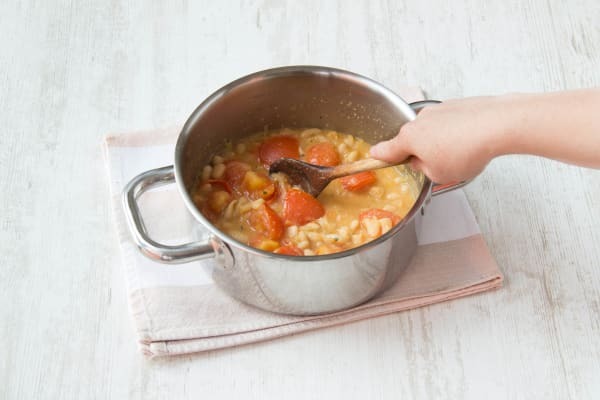 Place a lid on the saucepan and leave to simmer for 30 mins, stirring occasionally to ensure it isn’t catching on the bottom or becoming too dry. Tip: If it does start to become dry, just add a splash of water. Chop any larger new potatoes in half. Boil a pot of water with a pinch of salt and add the new potatoes. Cook for 15 mins. 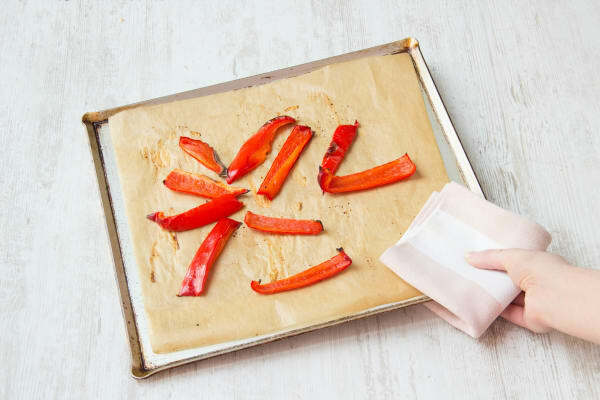 Meanwhile, remove the core and slice the red pepper into thick strips about 2cm wide. Place these on a baking tray. Season the pork fillet with a good pinch of salt and rub the smoked paprika all over the meat. Place this on top of your bed of peppers and generously drizzle with olive oil, before putting it on the top shelf of your oven for 15-20 mins or until cooked through and no longer pink in the middle. Your new potatoes should be thoroughly cooked now. Tip: The potatoes are cooked when you can easily slip a knife through them. Drain them and lightly crush them with a fork (don’t mash them). Heat a medium-sized frying pan with a splash of olive oil. 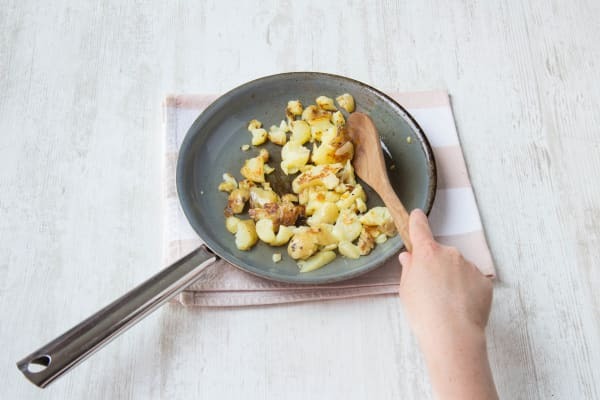 Add your lightly crushed new potatoes to the frying pan. Fry for 4 mins, until your potatoes start to crisp. Your butter bean stew should be a lovely thick consistency now, without too much liquid remaining. Season with another pinch of salt and a few good grinds of black pepper to taste. Once the pork is out of your oven cut it into thin slices. Finally, time to plate up! 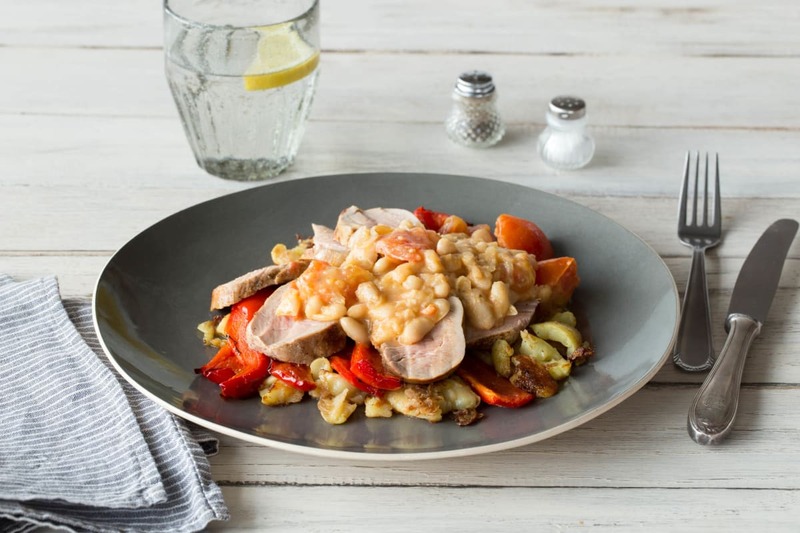 Serve your pork slices on top of your crushed new potatoes and roasted red peppers, top with your butter bean stew. Dig in!